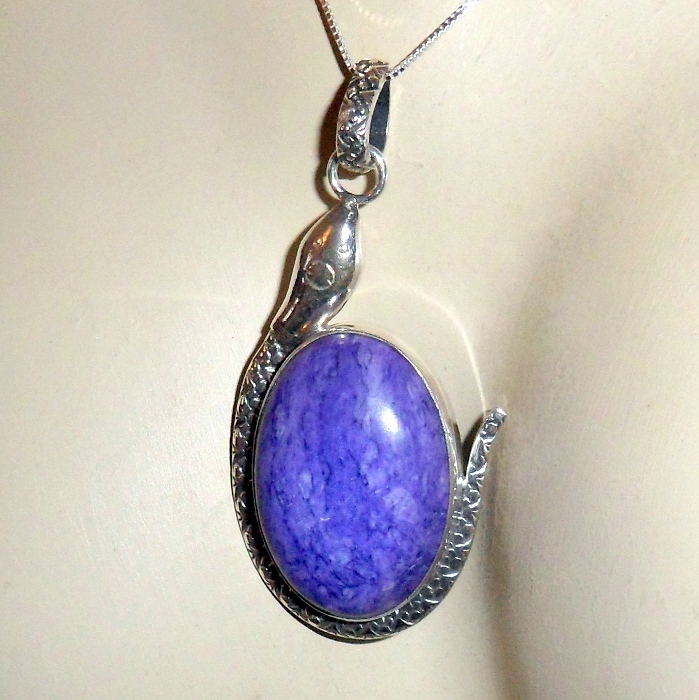 Purple charoite gemstone set in a snake design on a sterling silver necklace. 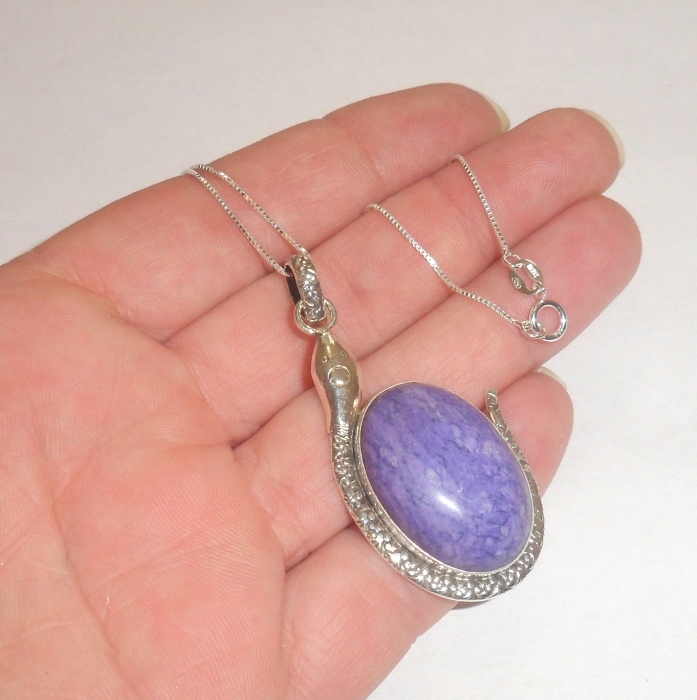 Charoite is a gemstone that activates the heart and crown chakras and helps you overcome fear. 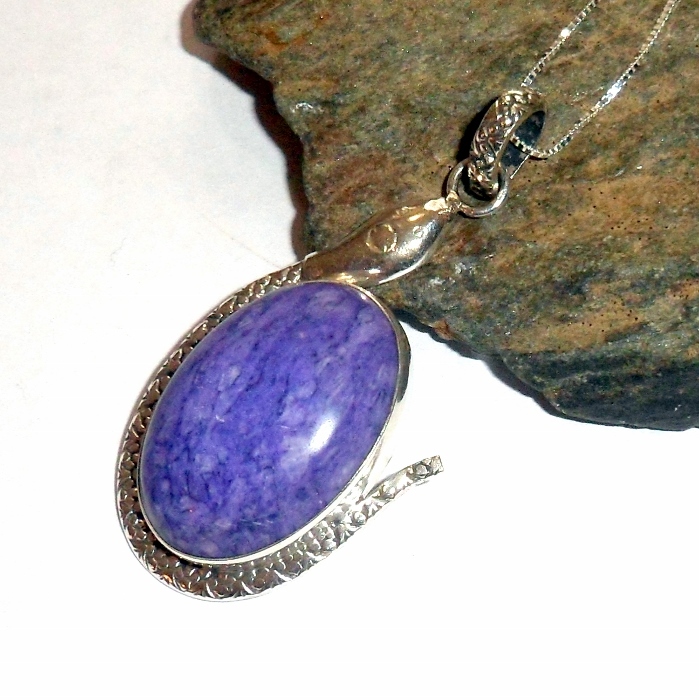 It is a stone of transformation that helps you find your spiritual path. 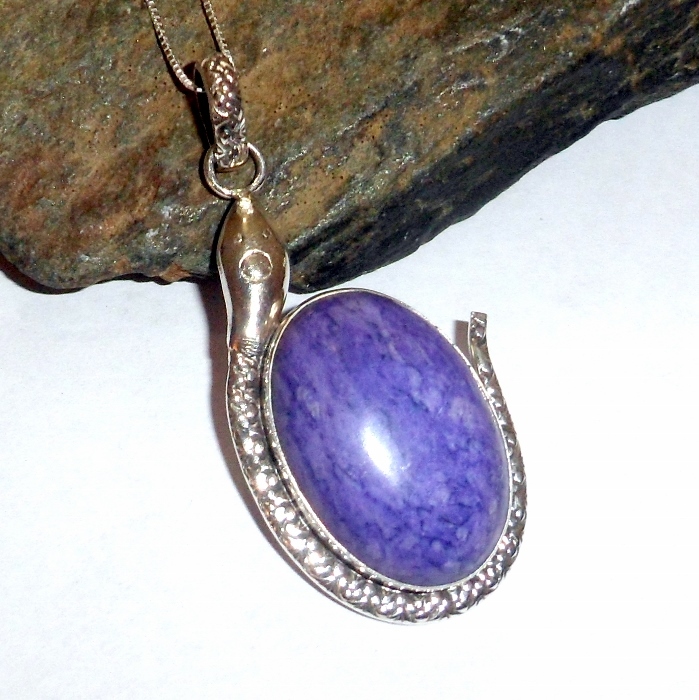 Physically, charoite is a superb healer, reversing liver damage, alleviating aches and pains, and healing autism and bipolar disorder. Total pendant drop length 2 inches. Necklace is 18 inches long.